Jim Hamilton’s World of Securities Regulation: Mark S. Nelson, J.D. 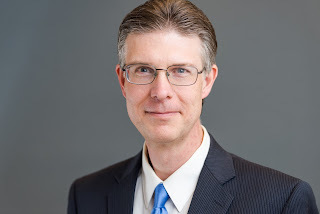 Mark S. Nelson is a writer/analyst for securities publications at Wolters Kluwer Legal & Regulatory U.S., a leading provider of corporate and securities information. 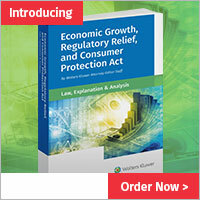 Nelson contributed to the investor-protection and mainstream-finance chapters in Dodd-Frank Wall Street Reform and Consumer Protection Act: Law, Explanation and Analysis; Securities and Derivatives Reform in 2010: A Guide to the Legislation; and Dodd-Frank Manual Series: Securities Regulation and Corporate Governance (Title IX). Nelson is author of two white papers: “Analysis of SEC Comment Letters on Dodd-Frank: Emerging Disclosure Guidance” (November 2011) and "The Other Bailout: How the Fed is Financing the Financiers, and Related SEC Disclosure" (November 2008). 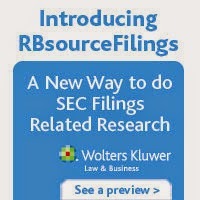 He is a co-coordinator of Securities Regulation Daily, and he coordinates the publication SEC Staff Comment Letters, an online database of all publicly available SEC staff comment letters and issuer responses. Nelson also writes abstracts of significant staff comments for the newsletter SEC Filings Insight. Nelson received a J.D. from The John Marshall Law School in Chicago, Illinois and is admitted to practice in Illinois.